The world is crying out from the imbalances of nature. Death is a stench in the air. With the giant Xinkwelenowaks as his spirit guides, Tom Talking Coyote Jefferson has to find the way back through a portal older than time, back into the Old World where man came from, to a place known only in the myths and legends of Native American peoples. "An authentic Native American voice relates stories of modern reservation life blended with ancient Lenape tribal lore. Take a read: you’ll find yourself seated in tribal councils and conducted on vision quests into the farthest reaches of the universe. You’ll watch the animals turn human and tell their tales, and finally you may come to understand and respect the vitality of a culture which seeks balance in all things. 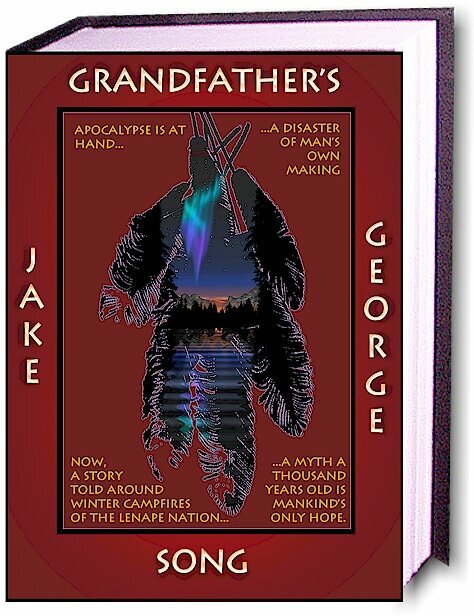 Jake George is a writer who deserves the same attention and respect earned by such fine novelists as Sherman Alexie and Tony Hillerman." © 2003-Present. ArcheBooks Publishing Incorporated. All Rights Reserved. See our Privacy statement.